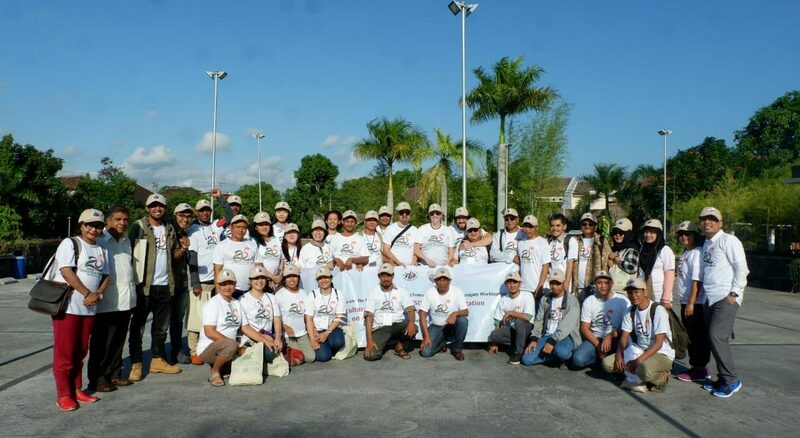 The following document is the result of the Regional Consultation held in Kediri, East Java (Indonesia) concerning the implementation of Article 9 of the International Treaty on Plant Genetic Resources for Food and Agriculture. The Consultation was attended by 40 participants representing peasants and other small-scale farmers, indigenous peoples and women from Asia and the Pacific. 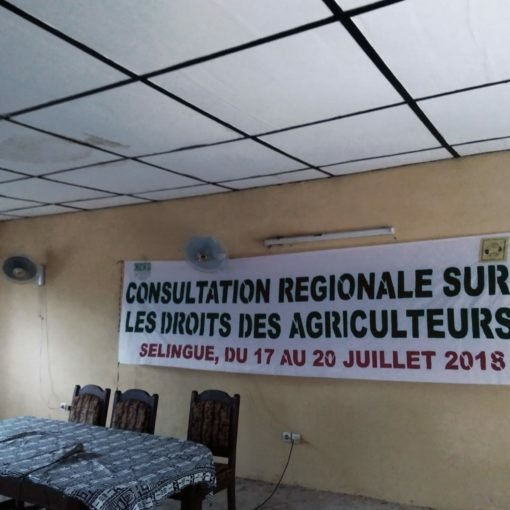 The Regional Consultation for the defense of food sovereignty and the protection of peasants and farmers’ rights took place between 10 and 13 July 2018. The 40 participants representing peasants and other small-scale farmers, indigenous peoples, and women’s organizations of the Regional Consultation of Asia and the Pacific on the Implementation of Indigenous Peoples & Peasants’ Rights To Plant Genetic Resources for Food & Agriculture coming from 10 countries of Asia and the Pacific, meeting in Kediri, East Java, Indonesia, between 10-13 July 2018, met to defend the seeds for food sovereignty in the International Treaty for Plant Genetic Resources for Food and Agriculture (ITPGRFA or the Seed Treaty). In this document, ‘farmers’ includes those who produce and/or use seeds in both industrial and cultural seed systems in line with Article 9 on Farmers’ Rights in the Seed Treaty. The custodians of cultural seed systems are referred to as ‘indigenous peoples and peasants’, and more broadly also include smallholders, artisanal fisherfolk, pastoralists, forest dwellers, women and all the communities that produce food in agroecological ways and contribute to maintaining biodiversity. The insecurity in rights of tenure and ownership of indigenous peoples and peasants, whether as owners or possessors or users, frustrates the full realization of their right to seed. In many areas in Asia and the Pacific, indigenous peoples and peasants are embroiled in land conflict issues such as displacement and land grabbing. As a result, indigenous peoples and peasants are impeded in their capacity to realise farmers’ rights to Plant Genetic Resources for Food & Agriculture (PGRFA). The non-recognition of women peasants’ contributions in agriculture is a violation of their right not to be discriminated against. Women peasants’ work is not being given social and economic value due to historical and structural unequal power relations between women and men, further reinforced by industrial agriculture. Hence, women are first to be displaced, negatively affected, and neglected in many levels of development. This situation has marginalized women peasants’ rights and participation in designing, planning, developing, monitoring and evaluating technologies related to food and agriculture, especially relating to seeds. The oft-mentioned traditional roles of women peasants, including but not limited to seed keeping and selection, has not been translated into tangible forms of recognition. Inclusion and the right to active participation of youth, especially women youth, in legislation, systems and processes related to PGRFA is critical. Youth, especially women youth, should therefore be recognized in all legislation, systems and processes related to PGRFA. The principles of food sovereignty underscore all the proposals in this document. That is that everyone and their communities have the right to culturally-appropriate and nutritious food produced in ecologically-sound ways, and the right to collectively determine our own food and agriculture systems. Any legislation, systems, and/or processes which inhibit democratic participation of any peoples infringes on the rights inherent in food sovereignty. Any legislation, systems, and/or processes which privilege private gains over the public good also infringes these rights. Should indigenous peoples and peasants’ resources be exploited by others, they are entitled to recognition and fair and equitable compensation, be it monetary and/or non-monetary. Indigenous peoples and peasants’ right to land should be integral to the promotion of indigenous peoples and peasants’ rights to PGRFA. Certain groups in society have repeatedly had their rights denied through history, and so it is imperative that their rights are given special attention in all legislation, systems and processes. These groups include but are not exclusively indigenous peoples, peasants, landless, pastoralists, forest dwellers, artisanal fisherfolk, women, youth, differently abled, migratory populations and all peoples discriminated against on the basis of birth or circumstance. We must ensure gender equality in the processes and outcomes in the indigenous peoples and peasants’ rights to PGRFA. Cultural seed systems have been maintained for thousands of years by indigenous peoples and peasants as commons for the public good. Crop wild relatives and wild plants are varieties in some cultural seed systems that are genetically related to cultivated crops that have been used since the beginnings of agriculture by indigenous peoples and later by peasants. Industrial seed systems are designed to bring profit via exclusivity, and/or are produced using ecologically-unsound and/or –sound practices for private gain. They usually must be deemed new, distinct, uniform, and stable to qualify for certification. Transgenics, Genetically Modified Organisms and New Breeding Techniques (NBTs) are a form of industrial seed systems. Research, education and extension institutions also participate in the industrial seed system, often in the name of public good. There should be no Intellectual Property Rights (IPRs) or exclusive rights on industrial varieties, nor on digital information of such varieties. Recognize that indigenous peoples and peasants are the stewards of the parental lines from which industrial varieties are derived and exploited. The use of cultural seed systems must be in the control of indigenous peoples and peasants who are the traditional stewards of such seeds and traditional knowledge. Collective rights should be extended to digital sequencing information and global information system. The use of wild crop relatives and wild plants must be in the control of indigenous peoples and peasants who are the traditional stewards of such seeds and traditional knowledge. Women peasants and other women working in rural areas should be supported in their participation in community/local seed management systems. Government should create measures for women peasants to have equal access to, use of, and control over natural resources, which can strengthen their role in cultural seed systems. Governments should identify and address gender-differentiated impacts of industrial seed systems. “Strengthen sustainable production and consumption patterns, including family farming, respecting and protecting traditional and ancestral knowledge and practices of rural women, in particular the preservation, production, use and exchange of endemic and native seeds” (Commission on the Status of Women, 62ndSession, 12-23 March 2018), and support alternatives to the use of chemical fertilizers and pesticides harmful to the health of rural women and girls and their communities. There must be compulsory disclosure of the indigenous peoples and peasants who are the stewards of parental lines of newly-industrialised seeds. This disclosure should carry through to the labelling of such seeds. There must be compulsory written Free Prior Informed Consent (FPIC) from indigenous peoples and peasants who are the stewards of parental lines of newly-industrialised seeds. Where seeds are registered, there must be compulsory disclosure including in local languages of the processes (e.g. GMOs, NBTs, GURT…). There must be no compulsory registration of seeds from cultural seed systems. There must be no obligation to provide samples nor community records of seeds from cultural seed systems. Government measures on certification and registration should not limit nor impede the implementation of farmers’ rights. Governments should recognize participatory local systems of indigenous and peasant communities as a legitimate method for identification of seeds from cultural seed systems. Farmers have the right to use, re-use, sow, re-sow, save, improve, select, exchange, share, sell and propagate farm-saved seeds. indigenous peoples and peasants should not be subject to prosecution in case of cultivating industrial varieties of seed (including but not only GMO/transgenic seed). Farmers have the right to use, re-use, sow, re-sow, save, improve, select, exchange, share, sell and propagate seeds and traditional knowledge. Women must be recognized for the central role they play in the preservation of cultural seed systems. Farmers have the right to timely and accurate information about plant genetic resources for food & agriculture (PGRFA) – in local languages, and through farmers’ channels. Governments are responsible for the provision of such timely and accurate information. In all decision-making processes about PGRFA at local, sub-national, national and regional levels, vocal participation of organisations of indigenous peoples and peasants should be ensured, and there should be at least 50% women participating. Governments should establish a dedicated mechanism inclusive of indigenous peoples’ and peasants’ organisations on PGRFA within cross-sectoral governing bodies, especially agriculture, education, research, extension and trade, to ensure sustained dialogue between farmers’ organizations and government (including research, extension and educational institutions). Governments should provide resources to indigenous peoples’ and peasants’ organizations for capacity building, and to enable attendance to ensure effective participation in decision-making processes. 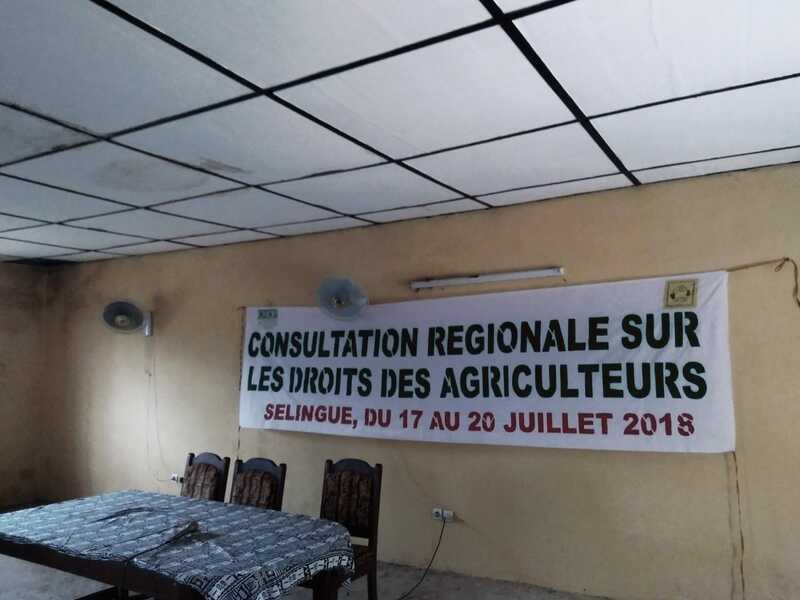 Governments should ensure documents are disseminated to farmers’ organisations with sufficient time for due consideration in order to ensure effective participation in decision-making processes. Indigenous peoples’ and peasants’ organisations have a right to participate in decision-making processes in local languages, and governments have a responsibility to provide the resources to them to ensure this right. Farmers have the right to be protected from contamination from transgenic and NBTs and genetic use restriction techniques (GURT), and they further have the right to compensation from damages accrued from GMOs, transgenic, NBTs and GURT. Indigenous peoples and peasants must be protected from the threat of prosecution for infringement of Intellectual Property Rights (IPRs). Governments should support activities to ensure sustainable use of PGRFA such as but not limited to dissemination, in situ and on-farm storage, and documentation of PGRFA and traditional knowledge by indigenous peoples and peasant groups. Phytosanitary requirements on commercial seeds should not adversely impact on indigenous peoples’ and peasants’ seeds systems. Recognize participatory local systems of quality assurance by communities. Government must give assistance to indigenous peoples and peasants seeking redress against those who infringe on their rights. Government must ensure fair compensation to farmers in the case of crop failure due to non-performance. Government must give assistance to farmers and communities seeking redress in case of adverse impacts of industrial seeds on biodiversity. The management of benefit sharing funds should directly involve farmers’ organizations including indigenous peoples’ & peasants’ organisations at national, regional and global level. The Benefit Sharing Fund should ensure direct benefits to farmers’ organizations, including indigenous peoples’ & peasants’ organisations and communities, including the right to direct access to those benefits. The Benefit Sharing must not increase the burden on indigenous peoples and peasants. I was one of founders of Food sovereignty in 2007 in Nylene, Mali. However, I feel guilty for not being able to do what is expected to be done in my country Ethiopia on the subject matter. Now, I would like to do more in the future if there would be some support .